Every year after the monsoons and before the onset of winter, there is a clear weather window of about a month in the Himalaya. This year (2012), it snowed in the Khumbu on 12th November. After this the weather cleared up and November was characterised by clear sunny days, very cold nights and the mountains were visible for most of the day and night as well. 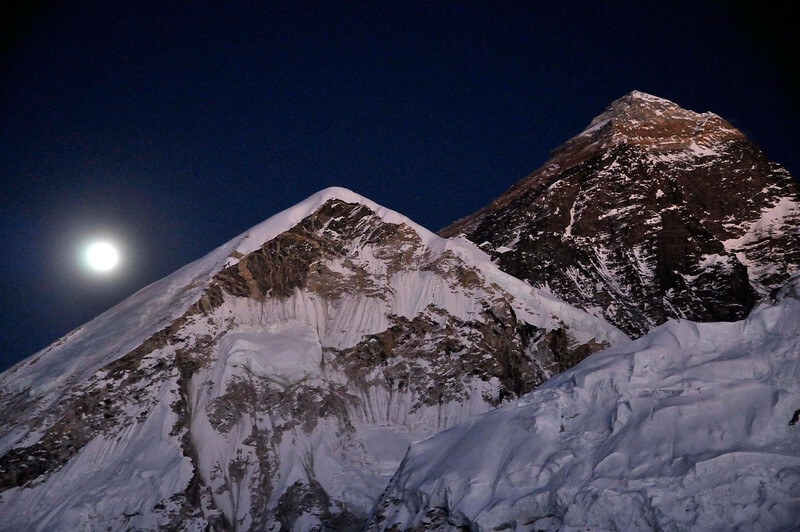 I took advantage of this brilliant weather to shoot the Khumbu at night!